A Chinese-controlled consortium has completed a deal to buy the assets of bankrupt Swedish carmaker Saab, media reports said. National Electric Vehicle Sweden (NEVS) will pay 1.5 billion to 1.8 billion kronor ($210 million to $250 million) for Saab, excluding spare parts company Saab Automobile Parts AB, according to reports in Sweden. NEVS did not confirmed the reports. "I can only say we are bidding for Saab," spokesman Mikael Ostlund told Automotive News Europe. Saab's bankruptcy administrator, Hans Bergqvist, was unavailable for comment. According to its Web site, NEVS is 51 percent owned by Hong Kong-based National Modern Energy Holdings, which focuses on alternative energy sources for China. The other 49 percent is owned by Sun Investment, a Japanese company that backs alternative energy enterprises. NEVS was created in April "with the only purpose of buying Saab's, assets," according to the company, whose chairman is Karl-Erling Trogen, a former executive at Volvo Trucks. NEVS has not talked about its plans for Saab, declining even to say whether it plans mainly to build electric cars at the automaker's factory in Trollhaetten, Sweden. Ostlund said the company's Hong Kong ownership means that an acquisition of Saab would not have to be scrutinized by China's National Development and Reform Commission (NDRC), removing a potential bureaucratic hurdle to the company's plans. National Modern Energy Holdings is controlled by Chinese-born entrepreneur Kai Johan Jiang, a former senior adviser to Volvo Trucks. The head of the Swedish automotive suppliers' association FKG, Fredrik Sidahl, told Sweden's Sveriges Radio he would be disappointed if Saab's new owners planned to build electric cars. "We had hoped that it would be a buyer who intended to continue to build some Saab models," he said. "If it is electric cars, there is no volume production." Zhejiang Youngman Lotus Automobile had placed a fresh bid to buy Saab, reports said last week. 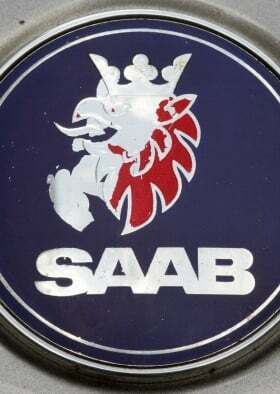 Youngman had wanted to invest in Saab before the the carmaker went bankrupt. That deal fell apart when General Motors Co. refused to allow its technology, which underpins Saab cars, to fall into Youngman's hands. Mahindra & Mahindra Ltd., India's biggest SUV manufacturer, has also shown interest in buying Saab. Saab filed for bankruptcy in December after running out of cash when it failed to meet its sales targets. GM sold the company in February 2010 to Dutch supercar maker Spyker.